Good news to Samsung Galaxy S5 owners it looks like Samsung has gotten the Android 5.0 Lollipop update ready for its Galaxy S5. Samsung has just rolled out the update to European version of the phone (SM-G900F) and while it’s not available in Malaysia yet, this only means that the update is ready and should be rolled out to everyone else soon, hopefully. As with most of Samsung’s major OS update, it has been rolled out in Poland and is expected to be released to other regions across Europe. The release for other countries have not been mentioned, so keep your fingers crossed that we will get it before the year ends. This has definitely got to be one of the fastest major OS update released by Samsung – just one month after Google released the final Lollipop code. 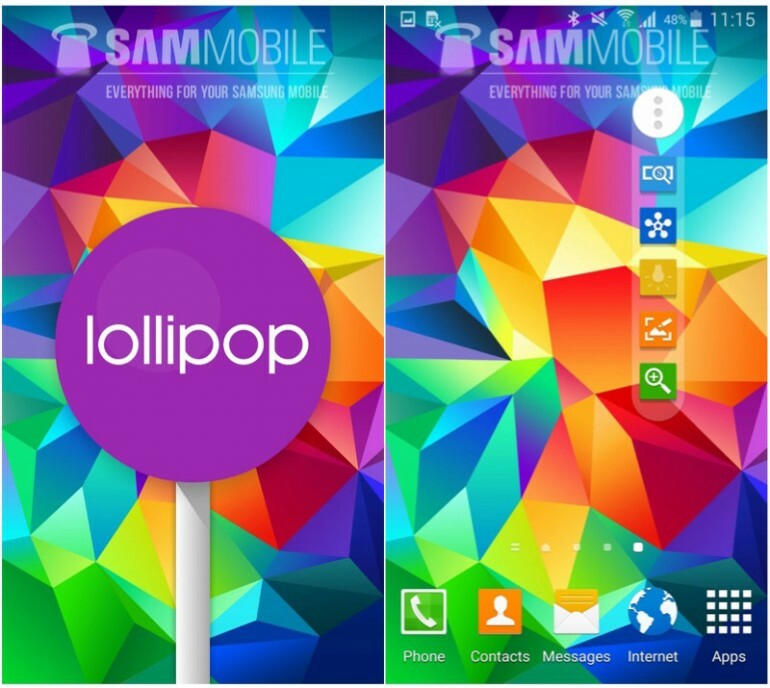 Android 5.0 Lollipop update for the Galaxy S5 has a lot of new features and enhancements. In fact, there is already are already several videos showing how Google’s new Material Design look on Samsung’s TouchWiz UI on the older Samsung Galaxy Note 3, and even the Galaxy S5. On top of design changes, the performance has also been enhanced. Check out Sammobile for more screenshots of how Android 5.0 Lollipop looks like on the Galaxy S5, plus all the new features it brings.